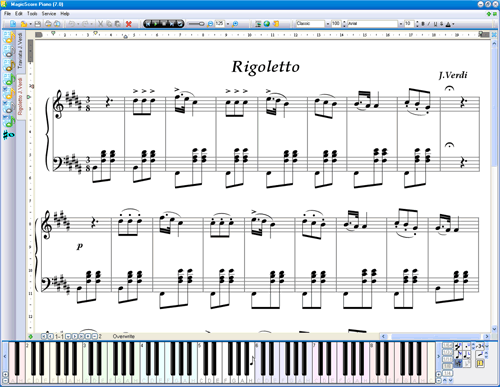 Compose music, type lyrics and print scores with free virtual piano keyboard! Enjoy music improvisations, have hours of fun and impress your friends with piano music. MagicScore Virtual Piano helps kids and adults develop creativity and music abilities by delivering a virtual piano keyboard free of charge. MagicScore Virtual Piano helps you become a composer, allowing you to improvise, pick out the notes or add lyrics to a popular tune. One-way converting from OGG to WAV format at high converting speed! Converts iTunes M4A & AAC to MP3, WMA, OGG, WAV, AAC, M4A, AAC, MMF, AC3, AIFF, AMR, AIFF . One of the featuers of 4Musics M4A to MP3 Converter is that it works from the right click menu on a file. It is the Pro version of Free Audio Extractor. It provides wizard mode & user-friendly operating window to guide the users, as it is a very easy and efficient way for all customers. It also provides various presets for precise output control. Ease Audio Converter can convert audio formats MP3, WAV, WMA, OGG, AAC,APE,FLAC,MP4, M4A,MPC(MusePack),AC3, SPX(Speex),ofr(OptimFROG),TTA and WavePack from one to another. It can convert from MP3 to WAV and OGG, and WAV to MP3 and WMA.